If it’s possible to hurt a motorcycle’s feelings, we probably did it to the AJP PR5. We’re sorry. We won’t do it again. If you don’t know what an AJP PR5 is, don’t worry. Apparently, we didn’t either. AJP is a company out of Portugal that specializes in making inexpensive trail bikes. The parts are sourced from all over the world, but the key to the low price is the Asian-made motors. 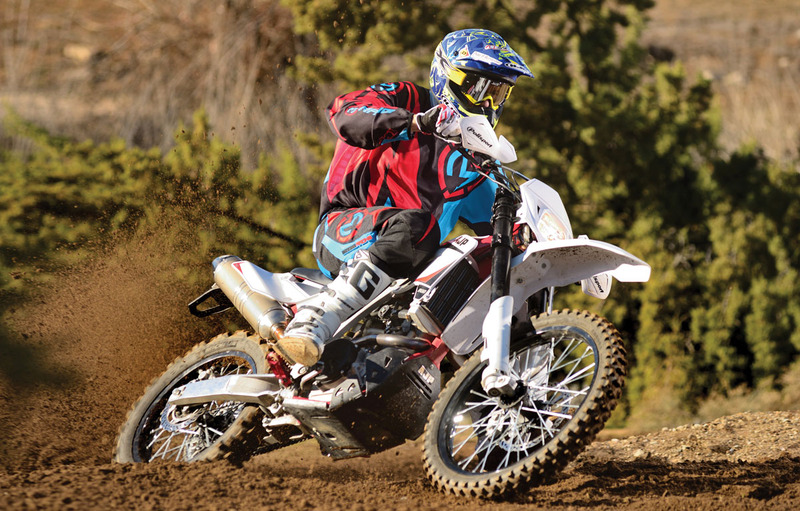 There are a number of different models, including the PR4 we tested last month, but the PR5 is more of a performance-oriented 249cc off-road bike that sells for under $6000. The apology is necessary, because we thought we understood the bike before we actually rode it. We assumed that it was roughly equivalent to a Honda XR250L, and so we found an older XR and took them both riding. Mistake. The AJP is like a 2016 Mini Cooper, and we were comparing it with a 1959 Volkswagen Beetle. 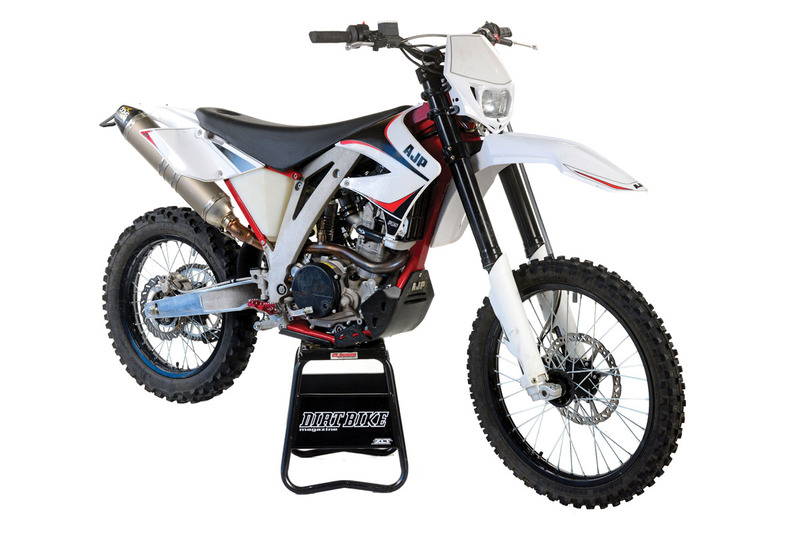 The name AJP comes from the initials of Portuguese enduro champion Antonio J. Pinto, who founded the company some 30 years ago. The concept of having an Asian motor in a western chassis isn’t new. BMW, Polaris and lots of others do it. The trick is choosing the right manufacturing plant. The one that makes the PR5 motor is Zongshen and is ISO certified to standards accepted by the international manufacturing community. The motor, in fact, looks like it might have some ATV ancestry. It’s a six-speed with Delphi fuel injection and electric start. The frame of the PR5 is vaguely similar to that of the KTM Freeride. There’s a chromoly-steel backbone with cast-aluminum sections connecting to the swingarm pivot area. The swingarm is very nicely made of cast aluminum. The fuel tank is located under the seat, while the air filter is up front. It’s all very cleanly done. Our test model was the R version, which has a number of upgraded parts and sells for $6195. One of those upgrades is a very high-end Doma exhaust system with a titanium canister and a carbon fiber end cap. It also has a lithium battery and billet footpegs. The exhaust alone sells for over $700 in Germany. In Europe, the PR5 is street-legal. It has a keyed ignition and most of the equipment necessary to be street-legal, but it hasn’t yet undergone any DOT certification. Getting a plate in some states might be possible, but there’s no guarantee. It seemed logical to us that the AJP would be like a latter-day XR250. As it turns out, we underestimated the AJP and overestimated the XR. We know there are riders who still idolize the iconic Honda, but let’s be realistic. It was slow and outdated when it was in production, and that was a long time ago. The PR5, on the other hand, is as modern and sophisticated as anything on the market. It fires up with the push of a button and has very clean EFI mapping with no hesitations or hiccups. The low-end torque is excellent. The little motor can be taken down to super-low rpm and pull itself out of trouble with ease. 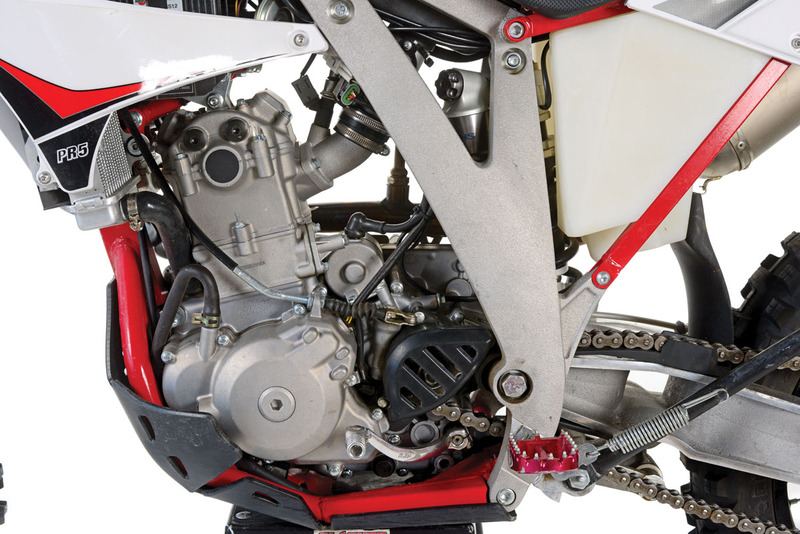 Clearly, it would be more appropriate to compare the PR5 with a new Honda CRF250X, which sells for over $1000 more. Even then, the AJP fares well. The low-end performance is similar, although the Honda revs much higher and has more top-end power. And, the CRF doesn’t have fuel injection, doesn’t have a high-end exhaust and is still somewhat outdated technologically compared to the AJP. When you get into deep sand or steep hills, you’ll feel the need for more power. This is, after all, a 250cc trail bike, not a racer. 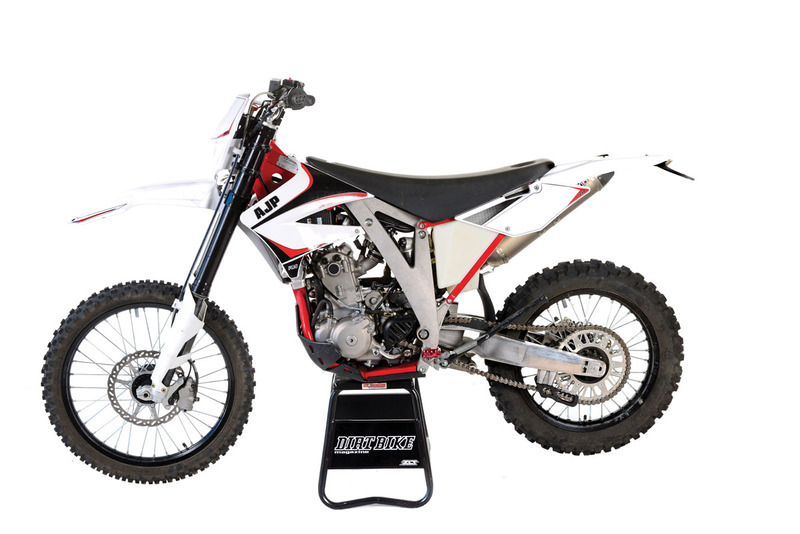 It probably makes about 30 horsepower, so it’s not competitive with 250 motocross bikes on an open track. Another limitation is weight. Even with the titanium exhaust and lithium battery, the bike weighs 259 pounds, without fuel. That’s a little more than a Honda CRF450X. You don’t really feel the weight in most situations, because the AJP is very compact and has a low seat height. The brakes are excellent, and the suspension was clearly set up by people who knew what they were doing. The Sachs fork and shock are balanced and very plush. You would assume that this would be a good entry-level bike, and it is. The seat height, suspension and motor are perfect for riders who are learning the ropes. But, the bike is more than that. A seasoned expert can take the PR5 on an extreme trail ride and have no complaints. No matter how badly you abuse the motor, it never overheats. A thermostatically controlled fan will kick in, and all the coolant stays where it belongs. In fact, we couldn’t break anything on the bike. And we certainly tried—more apologies are probably appropriate. And on the same topic, we also apologize to the Honda XR250 owners out there who have been clutching their old bikes, thinking that there’s nothing better. So sorry. It’s time to move on.